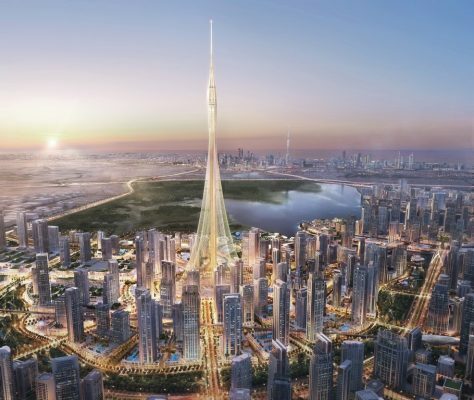 Azizi Developments are to start building the world’s fifth tallest tower later in 2018. 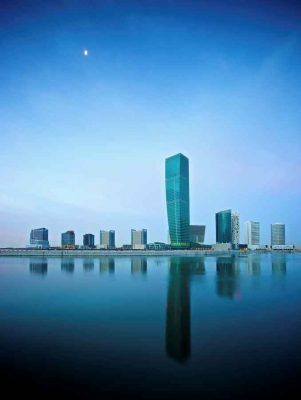 Entisar Tower will rise to 570m / 1,870 ft high and have 122 storeys. the building is due for completion in 2022. The Entisar Tower design is by architecture firm Atkins with AE7 Associates – earlier rendering above. 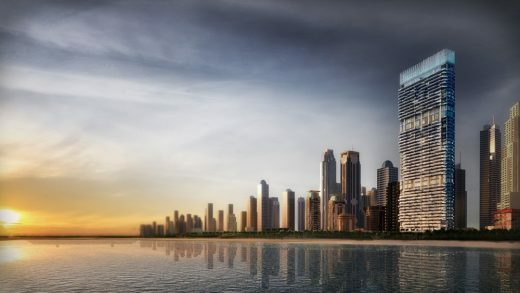 Located close to the beach at the prestigious Jumeirah Beach Residence, the flagship project sets a new standard for luxury in the Persian Gulf region. The building design principles are rooted in spatial clarity and good waterfront views. 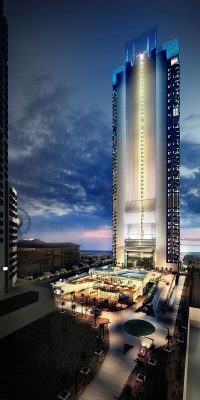 image from Fugro, courtesy of Emaar Properties. 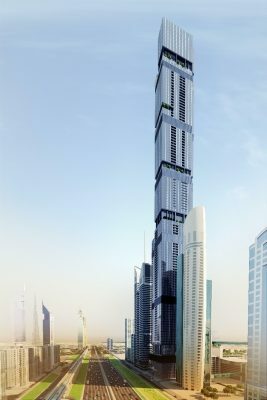 Utilising advanced mathematics, engineering and physics, the Dubai Creek Tower building is expected to be one of the most significant structures ever created. 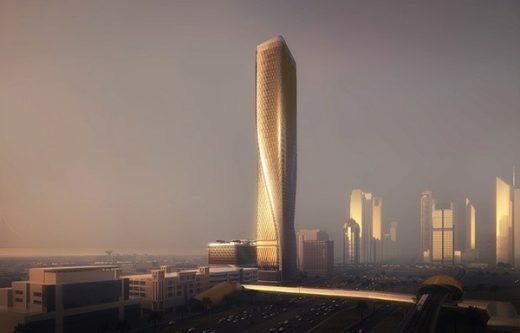 UNStudio, in collaboration with Werner Sobek, was invited by the Wasl Development Group to design a new kind of high-rise for the city of Dubai that would act as a benchmark for both the region and for the Wasl Development Group itself. 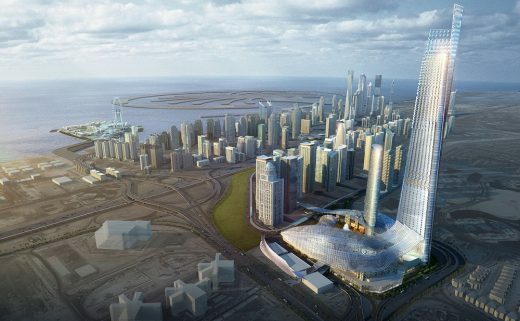 The world’s tallest commercial tower, to be completed in advance of Expo 2020 Dubai. A 46 storey luxurious residential tower overlooking the upcoming Dubai Eye and The Palm.